LML was locked at the upper limit of 10% at Rs 12.99 on reports that it has re-entered the domestic market with the launch of a 150-cc scooter. 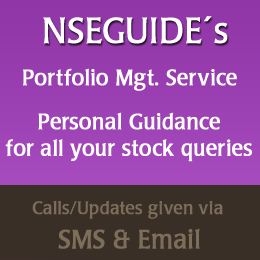 The BSE Sensex, meanwhile, was down 0.77 points, or 0.01%, to 15016.44. On BSE, 1.32 lakh shares of the scrip were traded. The stock had an average daily volume of 1.14 lakh shares on BSE in past one quarter. LML was locked at the upper circuit breaker throughout the day. It had hit a 52-week high of Rs 20.40 on 22 August 2006 and a 52-week low of Rs 8.25 on 13 Decemeber 2006. The scrip of the small-cap automobile producer had outperformed the market in the one month to 13 August 2007, falling 0.92% as against the Sensex’s 1.67% drop. It had, however, underperformed the market in the past three months, declining 9.5% as against the Sensex’s 7.81% gain. The company’s equity capital is Rs 80.36 crore, with 8.03 crore outstanding shares of face value of Rs 10 each. Reportedly, the Kanpur-based two-wheeler manufacturer launched its 150cc Vespa brands — NV SPL and Select II — this week with an on-road price of Rs 35000 in New Delhi. LML has started operations with two dealers in the capital and is targeting sales of 500 units in the next few months. The company had stopped scooter production in February 2006 due to financial problems. It resumed its activity in April 2007 and had focused only on exports to regions like Egypt, West Asia and Africa, besides Bangladesh and Sri Lanka. It exported 16,000 units till July-end 2007 and is targeting another 50,000 units this fiscal, reports suggest. LML reported a loss of Rs 11.25 crore in Q1 June 2007 as against a loss of Rs 13.32 crore in Q1 June 2006. Sales rose 427.3% to Rs 22.25 crore in Q1 June 2007 over Q1 June 2006.